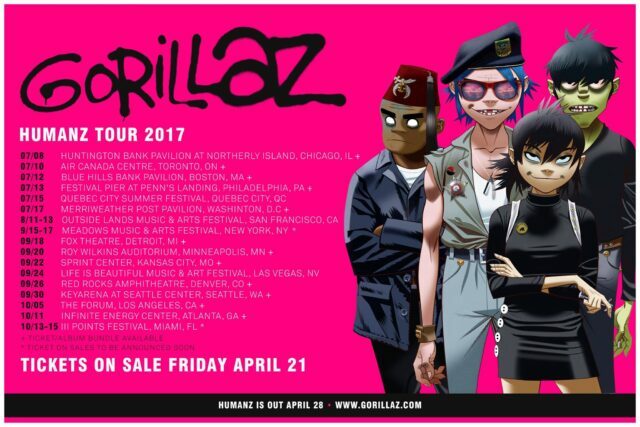 With the impeding April 28 album release of Humanz, Gorillaz have announced a full North American tour. Damon Albarn and Jamie Hewlett will embark on a 4-month tour across the US and Canada, kicking off in Chicago on July 8. The tour includes a handful of headlining slots at festivals, including Quebec City Summer Festival, Outside Lands Music & Arts Festival in San Francisco, Meadows Music Festival in NYC, and Live is Beautiful in Las Vegas. 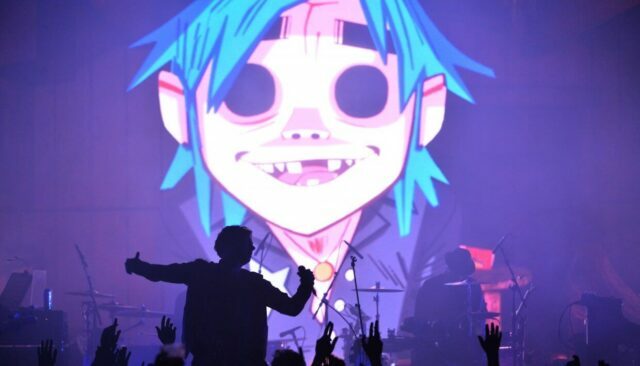 Check out the full Gorillaz tour schedule below. Tickets go on sale this Friday, April 21. 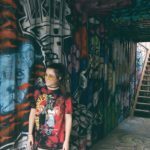 I'm probably listening to Gorillaz.